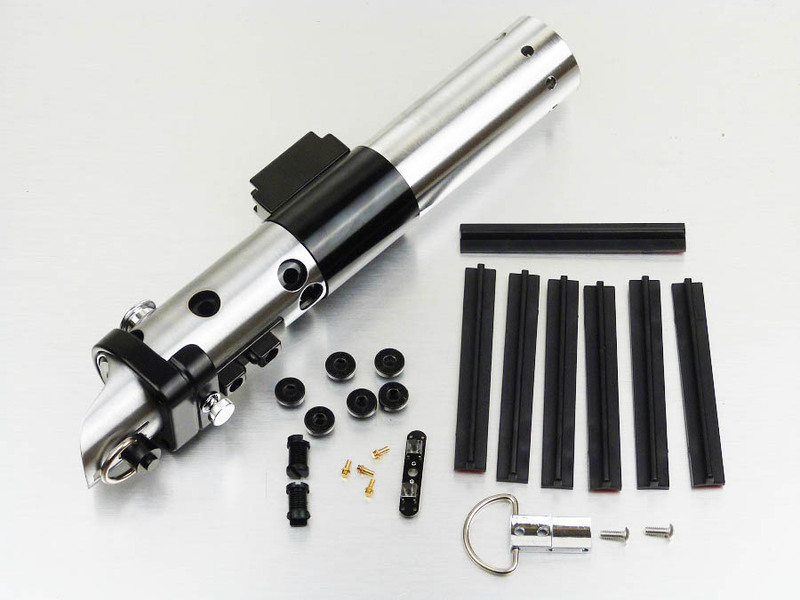 DV6 Saber Kit Now with Black powder coated emitter. 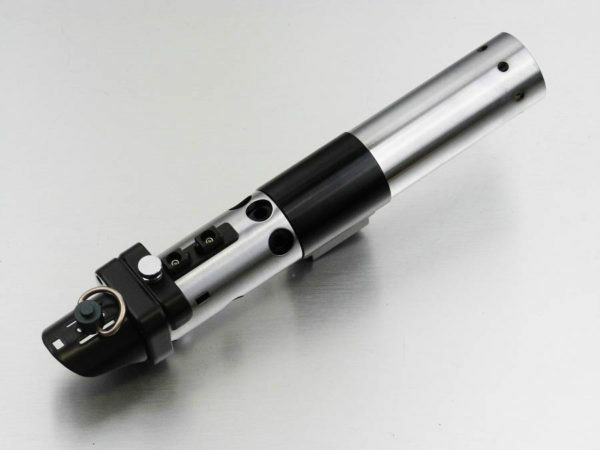 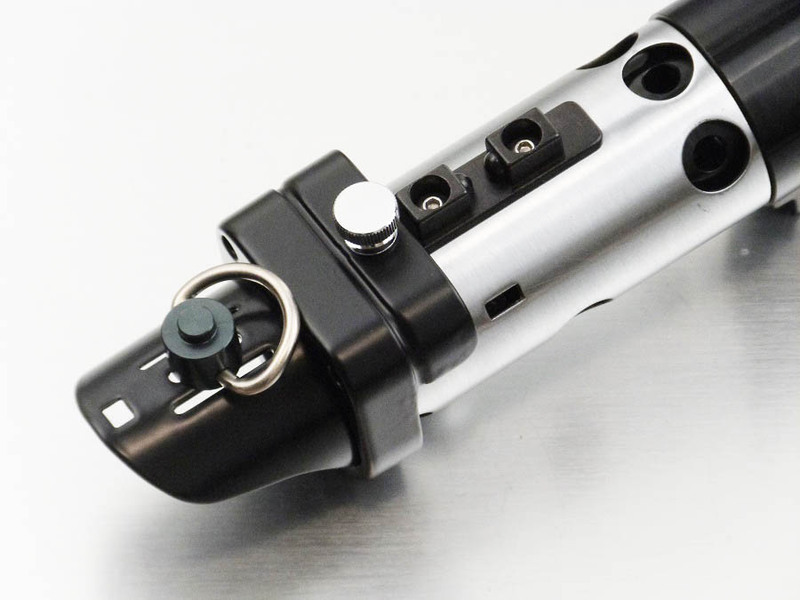 The Graflex 2.0 design is modified with Chrome and black anodized parts. 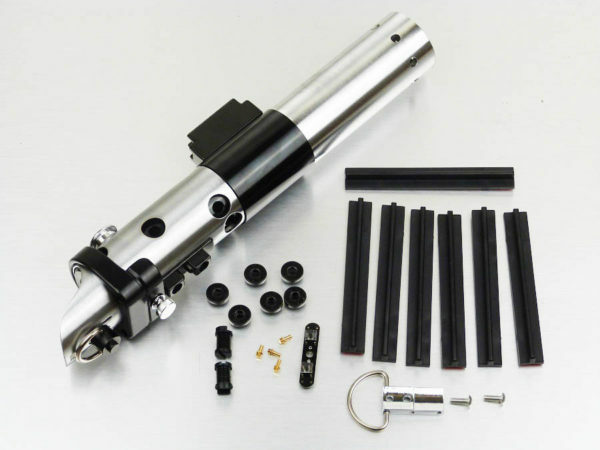 Comes with 1 set of saber grips, vented sound holes on pommel, and 7/8" blade holder.